Ah, this I missed. In Uganda, boda-boda motorcycle drivers were a constant source of amusement, providing opportunities to hone my communication-through-hand-gesture skills and affording me an opportunity to see new places I had never intended on visiting. In Thailand, cheap transport is via songthaew (a truck with benches in the back) and Tuk-Tuk (a tricycle/motorbike/rickshaw). 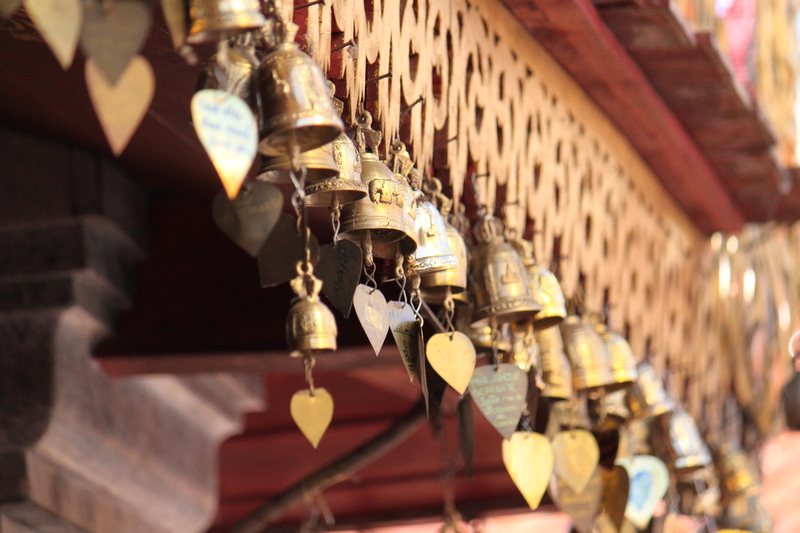 Our first day in Chiang Mai, we hired a songthaew to take us up to Doi Su Thep, one of the region’s most gorgeous Wats. 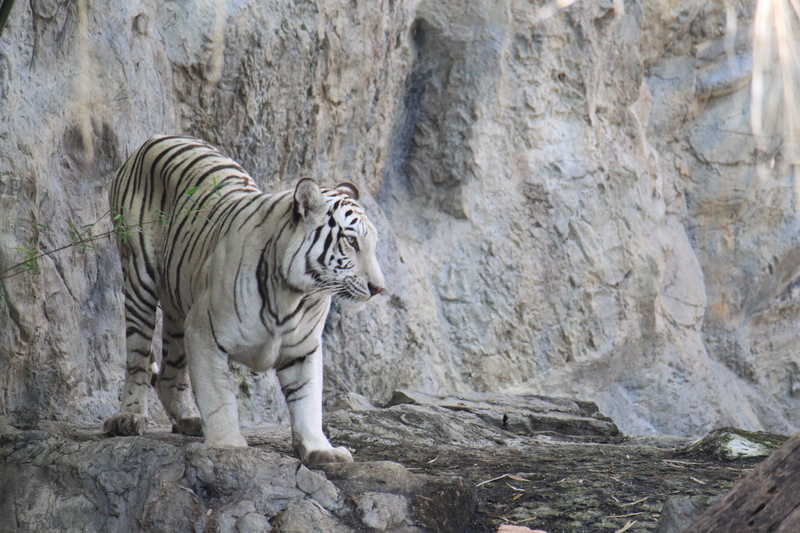 Unsurprisingly, there was a decent amount of haggling involved, plus the driver’s obligatory attempt to convince us that we should actually go to the “Tiger Kingdom” or “Elephant Sanctuary,” both of which were coincidentally further away and incidentally would cost more to get to. 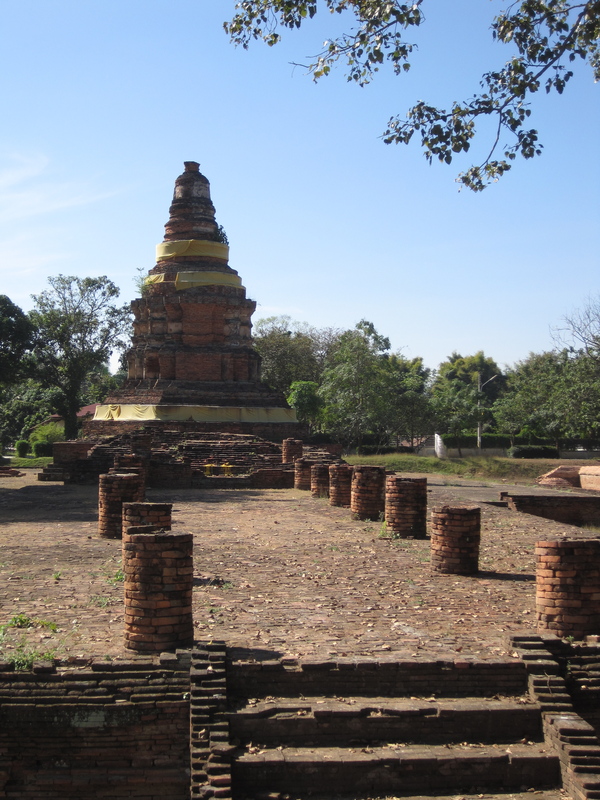 Eventually, he drove us towards the Wat, but halfway there announced we could go no further until two hours later. It’s hard to think we were getting ripped off, since he asked for only a fraction of what we had promised. 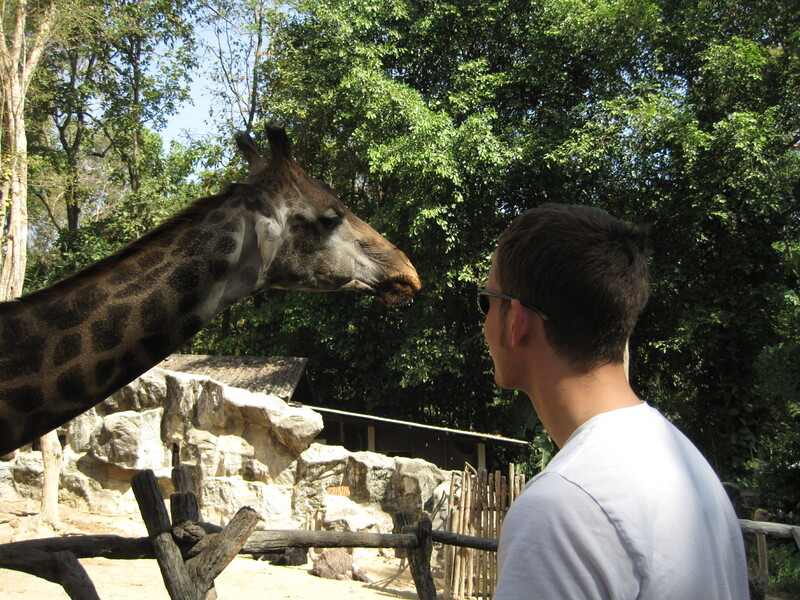 We looked around and found ourselves at the local zoo. Obeying my go-with-the-flow survival strategy of traveling, we decided that providence was telling us we should go see the baby pandas and went in. I’ve heard a few people complain to me that Thailand is really touristy, which I suppose has some truth to it. There is definitely a massive infrastructure for tourists, from guest houses and cheesy “cultural theme parks” to massage parlors. 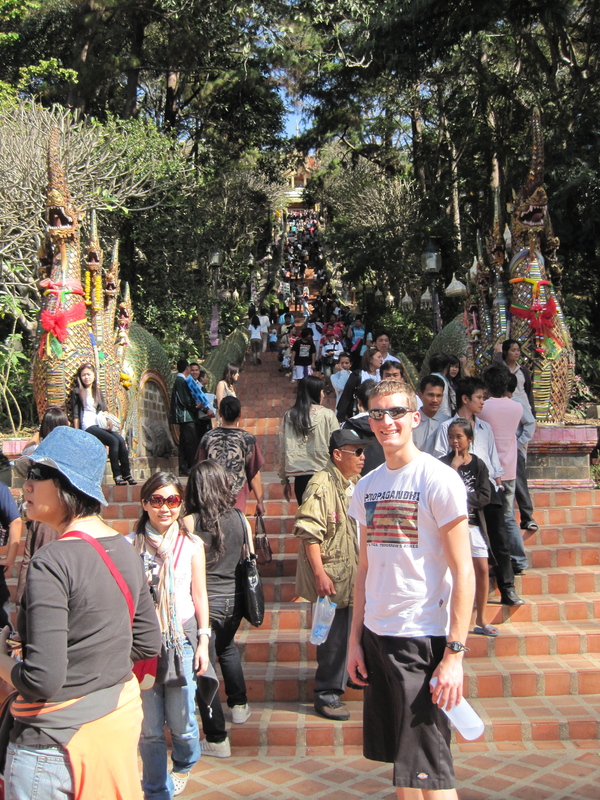 What I like about “touristy” Thailand, though, that at least some of the tourists are Thais themselves. 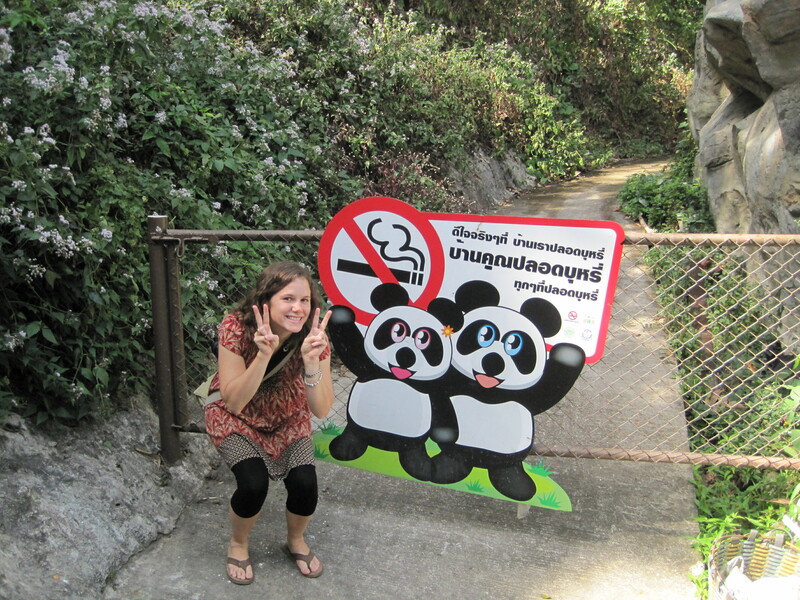 The zoo was packed, not with farang but Thais on holiday. 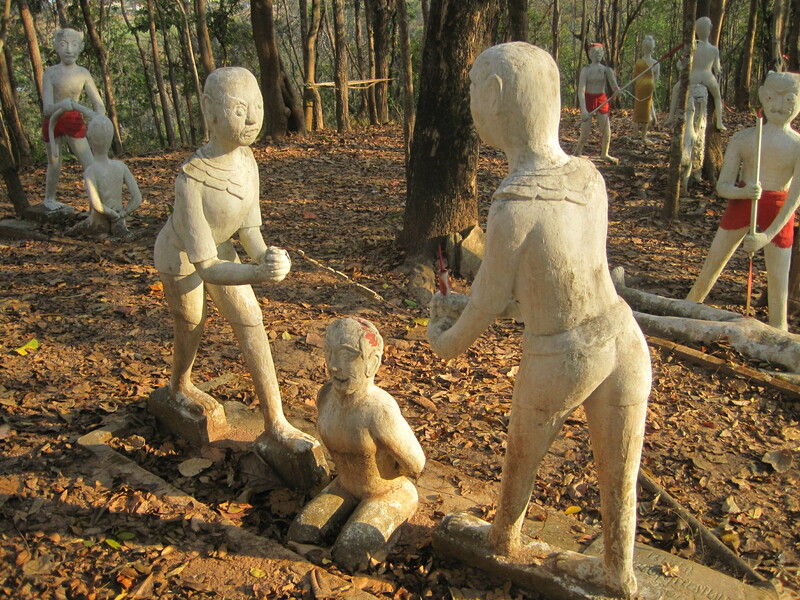 Later in the day, when we climbed up to Doi Su Thep, we found a Wat that was itself a veritable zoo, but mostly with people visiting as part of a holiday pilgrimage. I realize that practically half of these journal entries thus far have compared Thailand to Uganda, which is to some extent a baseless and arbitrary juxtaposition. Everything is relative, though, and that’s my frame of reference. In this case, the contrast is really clear. Among my employees in Uganda, few had ever been to a National Park; everything there was meant for outsiders. It’s a refreshing that, while I’m enjoying what Thailand has to offer, so too are at least some of the Thai. New Years is definitely not my favorite holiday. Although the turn of the millennium was pretty awesome (my family hid from Y2K in the bottom of the Grand Canyon), and I have a certain appreciation for the absurdity of Flagstaff’s Giant Pinecone Drop, I find New Years celebrations, in general, to be pretty forced. What are we celebrating again? A good excuse to get drunk? Do we need a holiday to do that? This was definitely my favorite New Years ever, and while that may not be saying much in the context of my general dislike of the holiday, I think it could stand up to some stiffer competition. The night started with us exploring a huge street market and continued when we were joined by another PiA fellow—from Korea—for dinner. 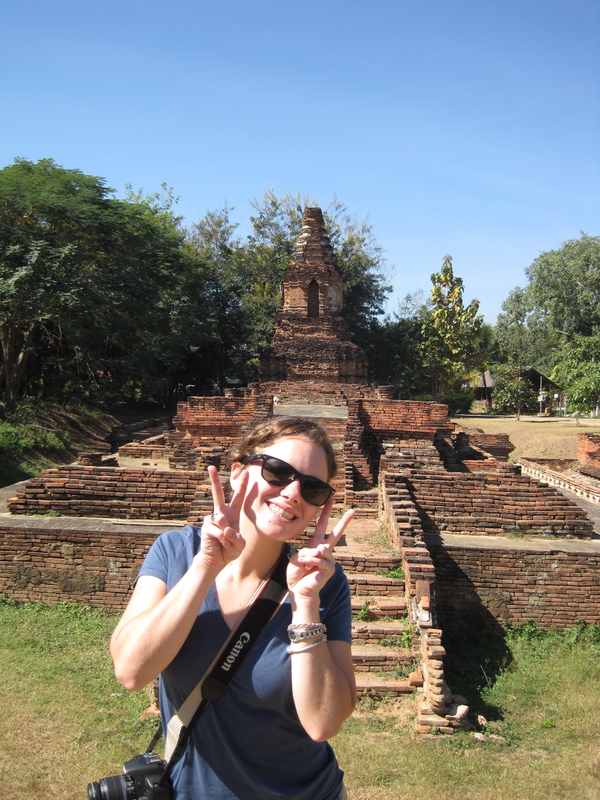 Afterward, we walked to the Tae Pae gate, the entrance to the old city. 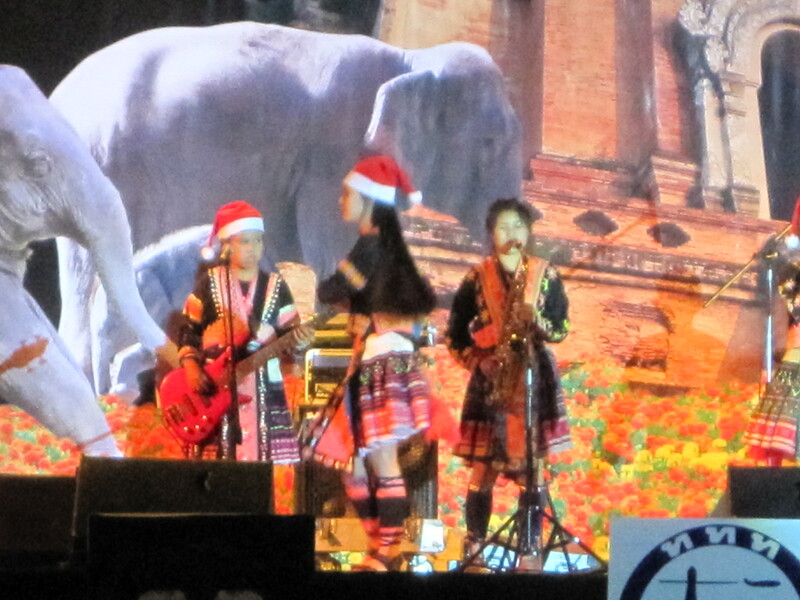 There, a Thai lady-boy band in Santa hats sang Michael Jackson covers while the square that spanned the city moat devolved into a giant party. 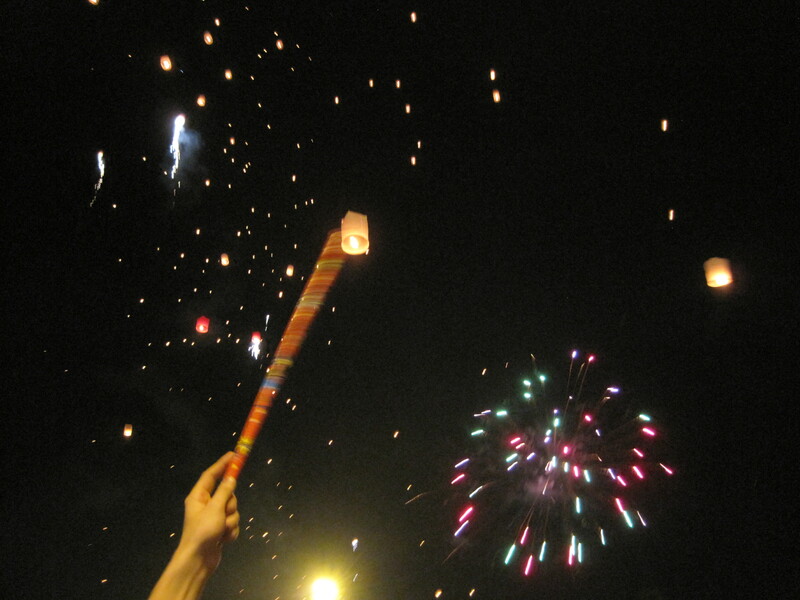 The main event, though, were Kom Lai: giant paper lanterns with wicks at the bottom that, when heated, lifted up into the sky. 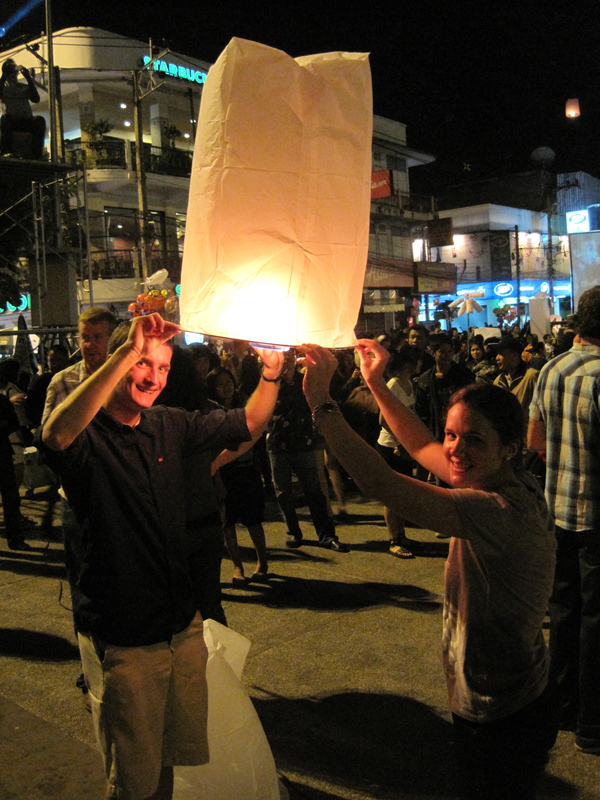 We bought a handful and, after a few attempts that culminated in flaming paper falling on the crowd and a statement in Thai from the stage that seemed to be about the ‘stupid farang,’ we succeeded in adding a few lanterns to the twinkling mass above us. With a countdown in Thai, it was officially 2553. 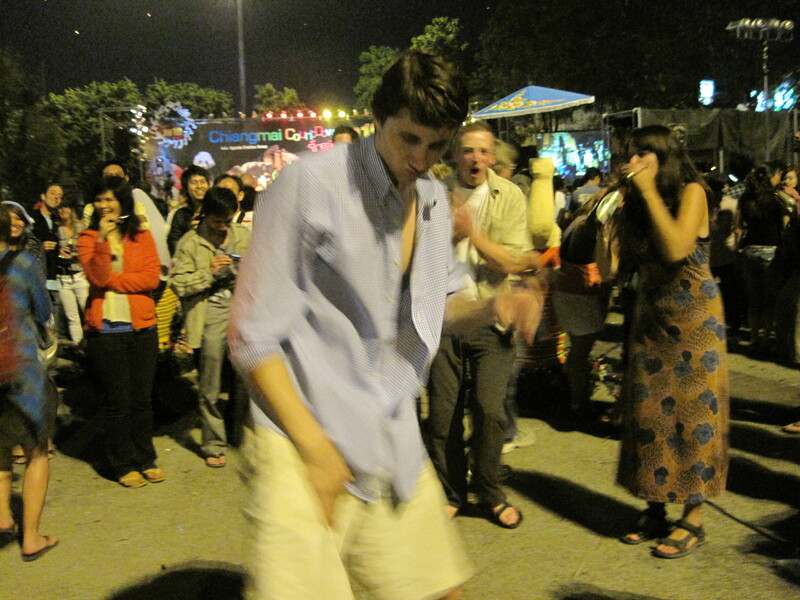 We and a few other farang formed a circle and entertained the bemused Thai crowd with some “Western” dancing, until we returned to our room and collapsed. Our second full day in Chiang Mai passed in gloriously lazy fashion. We woke up and went to the corner restaurant, which is quickly making me a mango-sticky-rice addict. Afterward, we hired a Tuk-Tuk who took as around the ruins of Wiang Kum Kam, the partially abandoned14th century district of the city. Afterward, we went to get messages and spent the evening wandering the night market. Not bad. One of the things that has been particularly “enlightening” about my trip so far (pardon the pun) has been the opportunity for an up-close look at Buddhism (or the Thai variant, Theravada). As a disclaimer, I should note that the number of things I actually knew (or, actually, even now know) about Buddhism could be counted on one (fingerless) hand. My ignorance did not, of course, prevent me from having some preconceptions. I always thought, for instance, that Buddhism was simple and un-materialistic, less evangelistic and institutionalized than the Abrahamic faiths. So far, I would say these assumptions were far of the mark. Wats are everywhere here, and since the compounds are often the most gorgeous part of the urban landscape, we’ve visited a half-dozen already. In some ways, they are indeed peaceful places: beautiful architecture being watched over by serene statues while monks softly chant scriptures, with gongs and chimes ringing out occasionally. 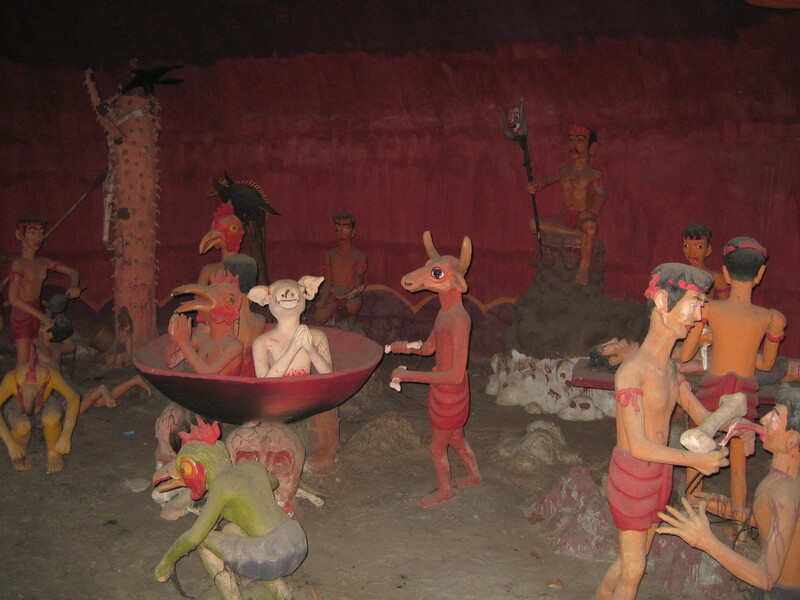 Some, however, have less rosy elements: a few we’ve visited, for example, have large and gruesome diorama displays of some form of Buddhist hell. Most striking, though, is how strong the commercial component of the Wats is. 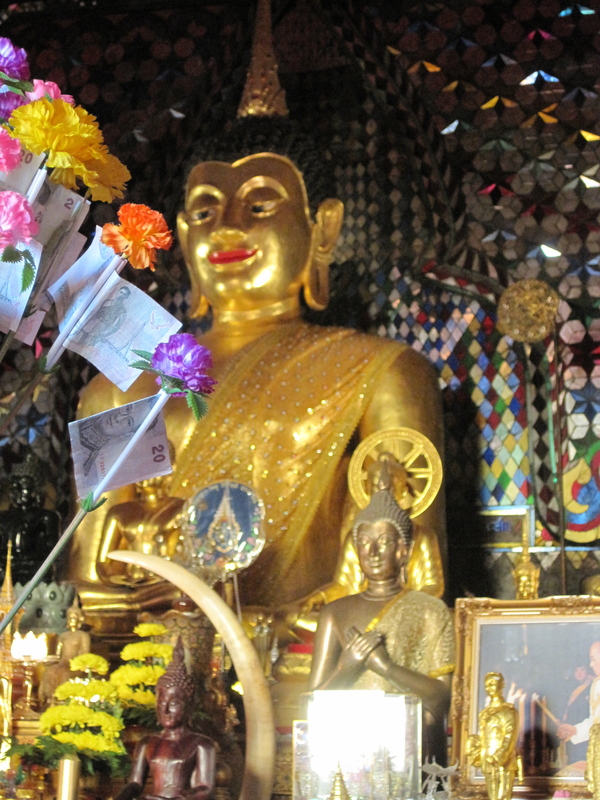 Inside the temples, vendors—often monks themselves—sell various incenses and curios, all tool for “making merit.” People leave gifts of twenty or one-hundred baht notes in front of statues. Rather than being put to the side, the bills form unavoidably obstructive displays that seem to remind everyone else that salvation comes through giving. I guess the story of Jesus entering the Temple and driving out the money-lenders is sufficiently engrained even in my agnostic soul that I find this commercialism somewhat disconcerting. Even in ultra-touristy Notre Dame, the gift shop is pushed to the side, a sign of some lingering guilt about mixing religion and money-making. I suppose that if I had ever visited a mega-church, my perception might be different. Really, I’m more discovering that Buddhism is in many ways familiar; I guess religions are all flawed in similar ways.